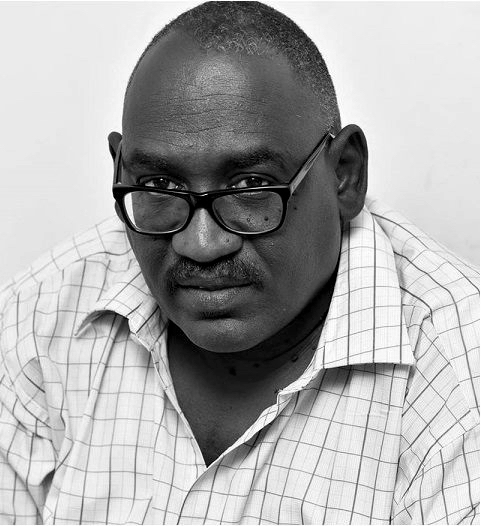 5,550km | Sudanese caricaturist Khalid Albaih moved from Romania to Sudan before finally settling in Qatar, where he has the freedom to criticise his home country. You have moved around a lot. Where do you consider home? I was born in Romania, as my father was a consul in the Romanian Embassy. We returned to Sudan but left again in 1991 after the current government came to power and my father was sacked along with many colleagues. I studied in the United Arab Emirates. Definitely, my focus is on Sudan as it is my homeland and I love it more than any other country. When did your interest in caricature start? My father played a major role in this, as he was a reader of the two Egyptian magazines Rose Al-Youssef and Sabah El-Khir. These two magazines were keen on caricatures and I loved how they would merge politics and art. I studied graphic design at university and started drawing caricatures as a hobby after graduation. Did you grow up in a political family? How did that affect you? My family is politically oriented and that formed my character. My uncle is Field Marshal Abdel Rahman Suwar al-Dahab, interim president after former President Jaafer Nimeiry was toppled. His cousin is Babker al-Nur, one of the leaders who staged the 1971 coup and was subsequently executed along with a large number of Nimeiry’s officers. I closely followed political debates as a little boy. Our family was split between Communists and Islamists. Despite our ideological differences we remained a good family and there was no extremism. Have you faced difficulties because of your work? Definitely. My drawings have been rejected by all the magazines and newspapers in Sudan, Qatar and Egypt. I’ve been told that my drawing style was weird and my drawings were too powerful to be published. I think our generation has a different way of thinking than our parents. We grew up in a more modern world. Looking at the Arab Spring, we can see the difference in ideology between the two generations. How did you overcome these problems? I published my drawings on my Facebook page. I abandoned newspapers and resorted to the internet. During that period, protests erupted and the Arab Spring started in Tunisia. I interacted with the events and in no time, my drawings attracted attention from around the world. I was very emotionally involved in what was happening in the Arab World. Did your caricatures find their way into newspapers? Yes, they did, though I did not take any money for publishing my drawings. My caricatures were published in the New York Times, The Guardian, The Atlantic as well as newspapers in Germany and Brazil. They were on the BBC, Al Jazeera, and Al Arabiya. In general, I work with institutions more than newspapers as I think of my caricatures as an educative tool. I was raised in many countries including Sudan, Egypt, Qatar, and the United Arab Emirates. During those years, I was very connected to the internet and, as a result, my work is global. Yes, I received threats on the internet from Sudan and other countries. I was arrested and investigated in Egypt. In general, as long as you raise contentious issues, your life will be in danger, but those working on the ground are in greater danger than me. I live abroad and I can express my opinions. Do you see any difference between Arabic and Western political cartoons in terms of style or content? I don’t think there is a difference in style as artists discover new styles all the time via the internet. You can’t tell where an artist is from by his style. In terms of content, I think cartoonists from this region are way more creative talking about issues due to censorship and self-censorship. We need to talk about taboos but in a way that our society can appreciate. They understand the questions we are trying to ask without being offended: offending people will divert attention from what we are trying to say. We also face government censorship – that is actually someone’s job! I avoid it by working as an independent online cartoonist but my life is threatened every single time I post a cartoon. I am not Charlie. I try to unite people and build bridges. I do not do what Charlie has done, breaking the world down into separate teams. Feeding stereotypes and doling out abuse under the banner of freedom of speech is not why I risk my life every day. Your cartoons also criticise Islamist extremists. How do you do that? By showing people how narrow-minded these extremists are. By that I mean not just Islamists but all extremists. What challenges do you face in Doha? There are no challenges as I live in the cyberspace and do my best to stay away from any political movements. This is why I have two names: my official one and a nickname I use to sign my drawings. Do you want to return to Sudan or stay abroad? Returning to Sudan has pros and cons. If I returned I would be close to events as they unfold. However, staying abroad gives me a broader perspective – plus I cannot guarantee my safety in Sudan.